Antigua is the perfect city to travel back in time while staying grounded in the present! Sounds contradictory? That’s Antigua for you! 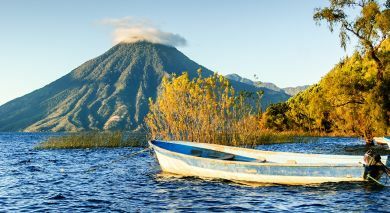 Steeped in an ancient Mayan culture and rich colonial history – all framed against the magnificent backdrop of its three volcanic peaks – the city simply cannot be excluded from any travel itinerary to Guatemala. Exploring the ruins of an age gone by or enjoying delicious meals at some of the most exciting restaurants with their own quirky takes on modern cuisine – there’s something for everyone here. Antigua is a global hotspot and travelers from around the world feel at ease with its distinctive culture melded with modernity. El Convento Boutique Hotel in Antigua is an upscale boutique hotel with an air of serenity accentuated by the lush greenery that surrounds it. Its rustic chic ambiance with rough stone surfaces and wooden accents also extend to the suites. Hotel el Mesón de María, located in the heart of the city, offers you a pleasant stay in Antigua. This restored Spanish colonial mansion marries old world charm with modern comforts, highlighted by Guatemalan artwork and wooden accents. Palacio de Doña Leonor in Antigua is a 16th century colonial property that was once home to descendants of a Spanish conquistador! Discover the stately architecture of this historic Spanish villa with its period furniture, antique chandeliers, and original artwork. Pensativo House Hotel is a beautiful baroque style boutique property just a few minutes walk from the Central Park. Expect to find a blend of modern amenities and colonial decor with floor to ceiling windows in your ensuite room. Explore the historic ruins and period architecture of the distinctive Guatemalan city of Antigua on this day tour. Discover the many Spanish colonial churches that Antigua is home to. Amble along the old city’s paved streets and alleyways, peeking into stories and legends from bygone ages. Visit the La Merced Church and the Central Park, before stopping by to explore Antigua’s Main Cathedral and its ruins. Drop by the San Francisco El Grande Church, as well as the Convent Capuchinas on this leisurely tour of the city’s old churches and chapels. Spice up your day with a little trip to a local crafts market, admiring the various handcrafted artifacts on display and interacting with local artisans. Wrap up your city tour on a sweet note by dropping into the Chocolate Museum (yes, such a place does exist on this planet!). (Half Day; Time of Day: Morning or Afternoon; Duration: 4 hrs; Fitness Level: Easy; Please bring comfortable walking shoes and don’t forget your camera). Experience a typical day at a coffee farm with local farmers from the picturesque little village of San Miguel Escobar near Antigua. Climb up the volcanic hill to the coffee fields of the villagers, where local farmers teach you how to harvest the ripe beans. Lend a helping hand to the local harvesting community, before coming down from the hilltop fields to learn how to process the freshly plucked beans. Visit a typical village home where a gracious farmer’s wife will show you how the beans are roasted and grinded in the age-old manner. Sit down to share a delicious local luncheon with your gracious village hosts, washed down with cups of freshly brewed coffee. At the end of your trip, take back a unique souvenir – a bag of your own hand plucked and roasted Guatemalan coffee beans! (Half Day; Time of Day: Morning or Afternoon; Duration: 5 hrs, 0900-1400 or 1200-1700 hrs; Shared Activity & Private Transfer; Meals included: Lunch; Fitness Level: Moderate; Please bring comfortable walking shoes and don’t forget your camera. Note: Bilingual English and Spanish guide will accompany you). 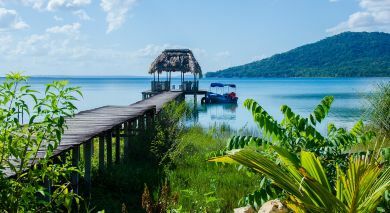 Explore one of Guatemala’s active volcanoes on this adventurous excursion to San Vicente Pacaya. 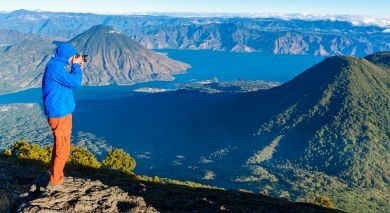 Right after an early breakfast at your hotel, take an hour’s ride to reach the magnificent Pacaya volcano. From the foothills, enjoy a relatively easy hike of approximately two hours to the cone on top, passing by breathtaking views of the volcanic landscape all around you. It is also possible to rent a horse from the park entrance for the ascent. Enjoy your hike through the highland pine forests, noting exciting elements such as volcanic ash and lava formations, before reaching the top. Admire the splendid panoramic vistas of the volcanic chain before you and the forested valleys below, stretching out all the way up to El Salvador and the Pacific coast. Rest a while among your spectacular surroundings and enjoy a packed lunch, before hiking down to the foothills and returning to Antigua. (Full Day Trip; Time of Day: Morning; Duration: 6.5 hrs, 0830-1500 hrs; Private Activity & Transfer; Lunch box included; Fitness Level: Moderate; Please bring comfortable hiking shoes and don’t forget your camera). Learn the secrets about some of Guatemala’s typical dishes at this fascinating cooking class. Drive over to the master cooking class at Jocotenango, which is barely a ten minute drive away from Antigua. Make the most of this rare opportunity to interact and learn from the area’s local chefs, as you assist in cooking up a delicious meal with fresh vegetables, meats and tortillas. Sip on fine wine as you work with the chef on the desserts, help stir the pot of stew, or roll out the perfect tortilla. Enjoy the sumptuous spread that you helped prepare, all laid out in the region’s traditional clay pots, in the company of your gracious host. (Half Day; Time of Day: Morning or Afternoon; Duration: 2.5 hrs, 1000-1230 or 1600-1830 hrs; Shared Activity & Transfer; Meals included: Lunch or Dinner; Fitness Level: Easy. Note: Bilingual English and Spanish guide will be present). Enjoy a day of mountain biking along the picturesque countryside surrounding Antigua on this adventurous excursion. Ride along the spectacular landscape of the Almolonga Valley, before pedaling it over to the beautiful highland villages of Santa Ana, San Juan del Obispo, and San Pedro Las Huertas. Ride over to Guatemala’s former second capital, Ciudad Vieja, which was buried by a mudslide in the 16th century. Visit an experimental, local macadamia farm along the way, before riding back to Antigua. 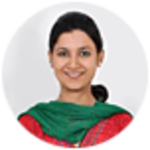 (Half Day; Time of Day: Morning; Duration: 4 hrs, 0900-1300 hrs; Shared Activity & Transfer; Fitness Level: Moderate. Note: Expect bike with helmets, bottle of purified water, and a bilingual English and Spanish guide). Set off on a thrilling tour of the ancient Kaqchikel kingdom in Iximche, Tecpán. 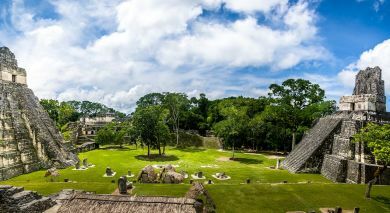 At this Mayan city founded in 1463, you will see four ceremonial plazas, temples, and a ball court. During your visit to this sprawling archaeological site, you can see the remnants of structures that were used in various worship ceremonies by the erstwhile inhabitants. Sitting amid tranquil pine forests, you can visualize life as it was here centuries ago. After you are done exploring, there are quite a few restaurants in Tecpán if you would like to lunch before heading on to Lake Atitlan. (Half Day; Time of Day: Morning; Duration around 5 hrs; Private Activity & Transfers; Fitness Level: Easy. Lunch is not included).